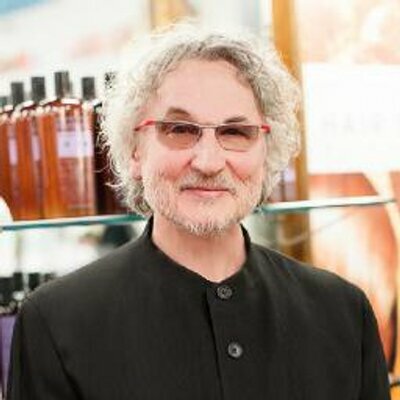 A world-class stylist in his teens, Horst Rechelbacher opened his own salon, Horst & Friends and then several others, becoming a successful salon entrepreneur in his twenties. In the late sixties, Horst suffered burn out from overwork and recovered thanks to herbal remedies prepared by his mother, as well as to the practice of yoga and meditation. Following a retreat in India in 1970, Horst integrated Ayurveda in his lifestyle and his salon business model. He adopted a holistic thinking, the belief that individual beauty is directly linked to the beauty of the world around us. His were ideas that would revolutionize the beauty industry. Aveda connects their Mission with product development by using what they define to be green ingredients whenever possible. Aveda is the Art and Science of Pure Flower and Plant Essence – the belief that nature is the best beauty artist of all. This is why they continually strive to incrase thee use of naturally derived ingredients – ingredients for which more than 50% of the molecule comes from a plant, non-petroleum mineral, water, or some other natural source, whenever possible. The Aveda Institute Canada is an internationally recognized hair school with 5 locations across the country – Vancouver, Victoria, Calgary, Winnipeg and Toronto. The institutes offer training for the next generation of hair stylists, colourists, salon owners, and beauty professionals. At the Aveda Institute, students gain practical experience under the guidance of passionate, seasoned, hairstyling educators. With a cutting-edge curriculum, students have the opportunity to experience true beauty, inside and out – it’s hair school, the way it should be. The Aveda network supports many types of clean water projects at home and around the world. Explore the impact Earth Month is making globally and connect with your local partner to make a difference where you live. Help protect clean water with these simple tips.